Director Matthew Cassel’s “The Journey” takes viewers inside Syrian refugee Aboud Shalhoub’s treacherous 1,700 mile migration to find a better life in Europe, while his young family waits for him back in war torn Damascus. The six part non-fiction series — being unveiled with a new episode every day this week on the New Yorker’s website — is a visceral, personal and immediate glimpse at the human story behind the massive refugee crisis that has come to dominate the European political landscape and headlines across the globe. 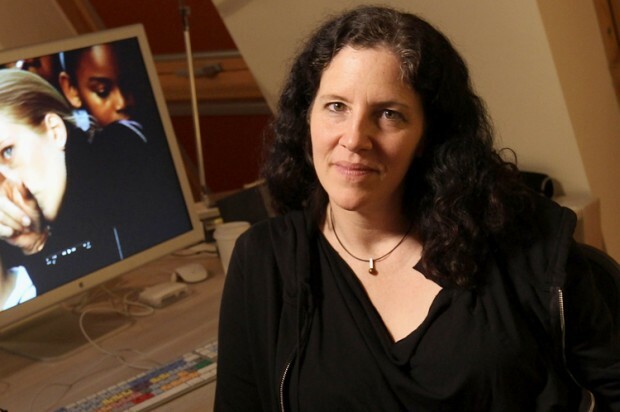 It’s a project that perfectly fits the mission of Laura Poitras’ Field of Vision: To bring cinematic journalism to important news stories as they unfold. Normally a filmmaker like Cassel faces a Catch-22: While gaining tremendous access to an unfolding story with immediate news value, the only way to get funding is to shoot some footage, submit a sample reel and wait months to hopefully receive financial backing. 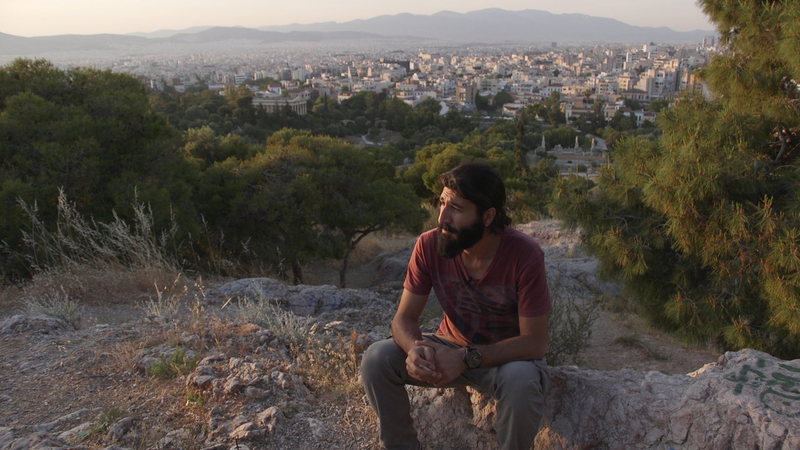 “You can’t tell Aboud, ‘wait here in Serbia while I try to get a grant proposal,'” joked filmmaker AJ Schnack, who co-founded Field of Vision with Poitras and Charlotte Cook only a year ago. Field of Vision was able to back Cassel within a few weeks of him submitting footage. The reason Schnack, Cook and Poitras are able to move so quickly is they have complete autonomy over their healthy budget. Their funding comes from eBay founder and philanthropist Pierre Omidyar, who backed Field of Vision’s parent company, First Look Media, after Poitras and co-founder Glen Greenwald broke numerous NSA survelliance stories stemming from Edward Snowden’s leak of classified documents. “What’s exciting about what we are able to do, which is different, is we can quickly back a filmmaker to keep them filming and then help them shape it into something we can make available worldwide in just a matter of months,” explained Schnack. Beyond quickly getting funds to a filmmaker in the middle of an unfolding story, the other key to Field of Vision’s ability to quickly turn around a project like “The Journey” is embracing the short and episodic formats. Traditionally, for a doc like “The Journey” to find an audience, it would need to go through a lengthy edit to be crafted into a feature film that would be attractive to a major film festival, where it would then hopefully find distribution. It’s a process that can take years and one that Field of Vision has liberated themselves from by releasing their projects online, which is ideal for the consumption of episodic and short form content. Poitras who established herself as one of the top nonfiction filmmakers in the world making features like “The Oath” and “Citizenfour,” went into her last project “Risk” — a documentary about WikiLeak’s editor-in-chief Julian Assange — with the intention of trying her hand at an episodic series for the first time. Ultimately, the film premiered as feature — receiving critical acclaim last week at Cannes — but the lessons she learned by approaching the material as a multi-part series was eye-opening. For Schnack, the episodic format brings documentary filmmaking in line with our modern viewing appetites. The key now for Field of Vision is to expand their films’ reach. According to Schnack, they’ve seen “exponential growth” in only nine months since releasing their first doc, but there is definitely ways the fast moving production unit sees of improving their distribution model. “What we are learning in our first nine months is that what we are passionate about and good at is the production of the work, and now we are going to look for as many types of partnerships for outlets that help [the work] find a home,” said Poitras. Along those lines, ”The Journey” marks a new chapter for Field of Vision as it is the first time they have partnered in releasing the film. Considering the subject matter of Syrian refugee crisis, Schnack and Poitras say the New Yorker’s audience is a perfect fit for the six part series, and moving forward they will continue to look for outlets which have an already established audience that matches their pieces. Schack and Poitras believe their audience will continue to grow because ultimately they believe in their model — inject cinematic and timely pieces of journalism into the public discourse of important issues.